The first three notes on the fourth string in first position are D, E, and F. (First position includes the open strings and the first four frets of all six strings.) 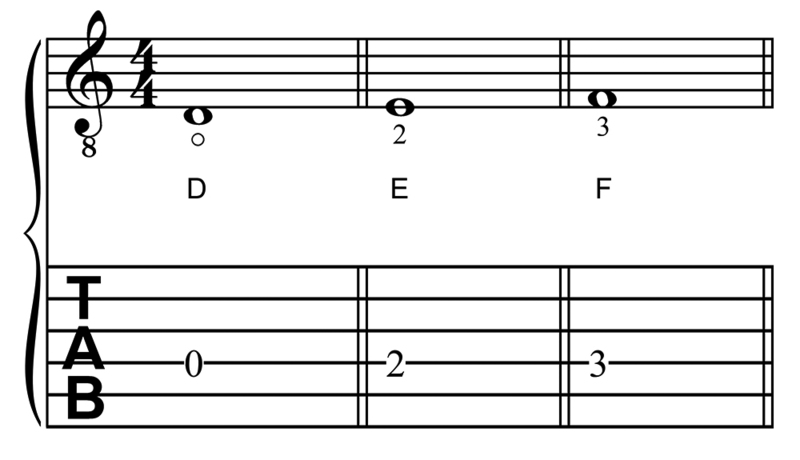 They are located on the guitar as shown in the staff and tablature notation example below. Notice that E is fretted with the second finger while F is fretted with the third finger. Although there are alternate fingerings for these notes, these fingers are the most often used. Now that you know where the notes D, E, and F are located on the fourth string, you need some practice playing them on the guitar. 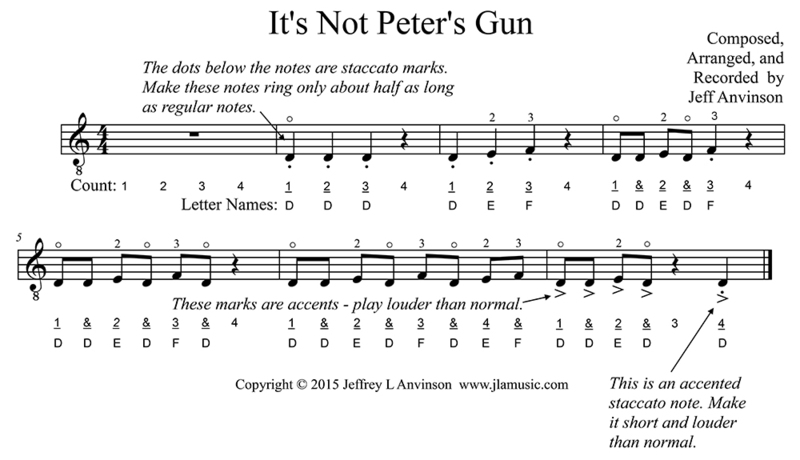 The following piece, It's Not Peter's Gun, is designed to give you some experience with these notes. Located below the music are two audio tracks that you can play while practicing this piece. The first track is slow, so you can learn it at a slower pace, and the second one is up-to-tempo. If you are listening in stereo, the right channel is the guitar part, while the left channel is the accompaniment track. Remember to count four beats before you start.